For use of mobile internet outside Luxembourg your iPad standardly selects the network with the best reception and most attractive tarriffs. This is called roaming. Therefore, keep the network selection option preferably set to automatically on your iPad. To manually select a different network, click Next for instructions. The iPad will now search for available networks. The iPad is now requesting access to the selected network. Click here for roaming partner networks abroad. These are mobile networks with which Tango has negotiated reduced rates. 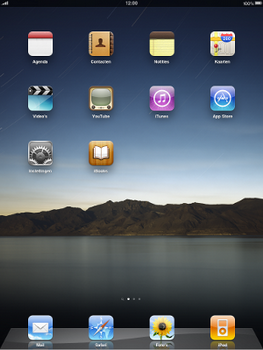 The iPad now has access to the selected network. You can now browse the internet via the chosen network.